Hot tub maintenance near Birmingham, AL is important to the continued function and appearance of your hot tub . However, you may have heard several myths about hot tub maintenance—such as the need to drain hot tubs after every use—and you could be making some damaging mistakes. It is best to speak with your hot tub installer and manufacturer’s guide to ensure your hot tub is properly maintained. Continue reading to learn the truth behind these common myths about hot tub maintenance. 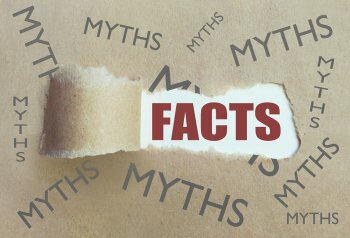 Myth #1: You need to use several chemicals. Testing and caring for your hot tub is similar to the care process for your swimming pool or swim spa installation. Every week, you should use a hot tub test strip to determine the pH and alkaline levels. Once you know the amount your hot tub requires, you can add the correct chemicals, such as chlorine or bromine, to the hot tub. If you are unsure or wary of properly caring for your hot tub, then schedule maintenance services with your hot tub installer. Myth #2: You must always drain the hot tub. A common hot tub myth is that a hot tub must be drained every time you use it. This is incorrect and could cost you a lot of money in water and energy costs. If you keep your hot tub’s chemicals maintained, then you do not need to worry about bacteria or chemical buildup. However, it is smart to drain the hot tub every three to six months depending on how often you use it. 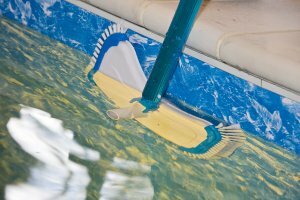 Myth #3: You can use swimming pool supplies. You may think that you can use the same cleaning products for both your swimming pool and hot tub. This is a mistake that can cause serious chemical issues that could affect your hot tub’s equipment. For example, chlorine tablets made for pools are formulated for cold water, and they could dissolve too quickly when placed in a hot tub’s hot water. Always use chemicals and cleaning products that are formulated for your hot tub. Pools and similar features offer many benefits, but which type is right for you? If you’re thinking about installing an above ground pool, swim spa, or hot tub in Birmingham, AL , then continue reading to learn about the differences between these water features. For families with kids, above ground pools are typically the best choice for backyard water features. Pools offer plenty of room for playing and exercise, and they are ideal for creating an outdoor area for entertaining. However, above ground pools can take up a significant portion of your yard and can’t be used year-round, although the use of a pool heater can extend your pool season by a couple of months. Finally, pools can require more upkeep and safety precautions than swim spas and hot tubs. For individuals who want to enjoy many of the activities that they can in a full-sized pool but within a smaller space, swim spas offer an excellent solution. Swim spas are ideal for exercise and have water jets that can be set to various levels of resistance so you can swim laps with no need for making turns or having a large pool. Also, you can use a swim spa for hydrotherapy by warming the water temperature and relaxing against the comfort of the water jets. Swim spas are the best choice for individuals who want the therapeutic benefits of a hot tub combined with the exercise qualities of a swimming pool. If you’re looking for a water feature that is compact and designed for comfort and relaxation, then a hot tub could be the best choice for your needs. The warm, pulsating water provided by these features is perfect for relieving stiffness and pain in aching joints. 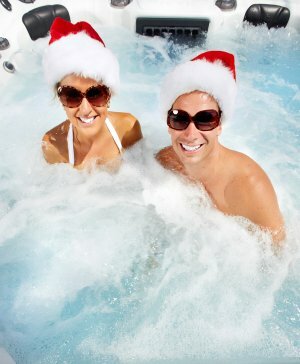 Additionally, when in a hot tub, the body can release endorphins that decrease muscle tension and improve mood. Hot tub maintenance is simple when done properly, and you can choose to install either an indoor or an outdoor hot tub for maximum convenience. 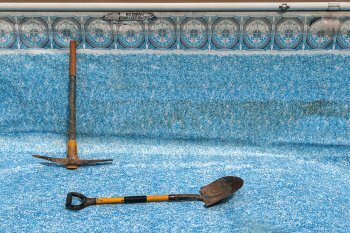 Having a backyard pool offers you many benefits, but these features do require a bit of maintenance to be kept in good condition. 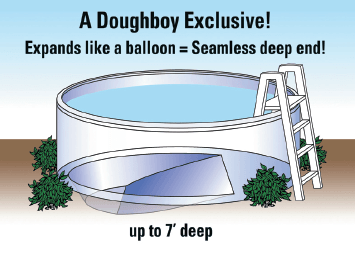 Do you own a therapy pool or an above ground fiberglass pool in Birmingham, AL? If so, then there are a few essentials that you should always have nearby. Your pool system requires a well-functioning pump and filter to keep the water clean and circulating properly. Also, regular treatment with chemicals helps control algae and bacteria that would otherwise grow in your pool water. For the off-season, pool covers are essential for winterizing your pool and keeping leaves and other debris out of the water. Finally, if you have kids or love to entertain in your backyard, then be sure to keep some floats, toys, and games in your pool area. 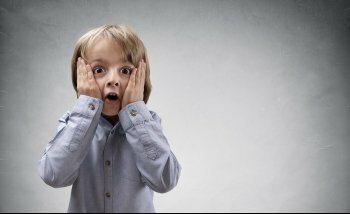 If you feel confused about where to begin with pool care, then contact a local pool company. These experts can get you started with a maintenance plan that will keep your fiberglass pool or therapy pool in excellent condition year-round. When it comes to staying comfortable and calm during the winter months, few things can be as beneficial as having your own hot tub . By choosing to install a hot tub in Birmingham, AL, you can enjoy several advantages that will help you stay warm and relaxed this season. Getting enough sleep is essential for your overall health, but chronic insomnia and other sleep disorders are common problems in the United States. Research has demonstrated that soaking in a hot tub 2 or 3 hours before heading to bed can promote deeper and more restorative sleep in insomniacs, something that can be particularly beneficial during the stressful holiday season. Do you love enjoying your backyard area with friends and family? If so, then you may be looking for a better way to make the best of your yard in the winter months. If you want to be comfortable and have a good time outside despite the chilly weather, then consider installing an outdoor hot tub. These features can keep you warm and relaxed even when the air is icy cold. Endorphins are neurotransmitters that can induce feelings of pleasure, improve your mood, and provide relief from pain, and one of the best ways to stimulate your body to release endorphins is to soak in a hot tub. Also, sitting in the hot water and enjoying the massaging water jets can increase blood flow and relieve soreness, fatigue, muscle tension. Once cool weather rolls around, it’s not uncommon for people to experience more pain and stiffness in their joints. Whether you have arthritis or suffered a joint injury in the past, using a hot tub this winter can help keep you comfortable. The warm temperature, water buoyancy, and massaging water jets can ease tension and soothe joints that are stiff and sore. For these reasons, soaking in a hot tub can be particularly beneficial for individuals who play sports or have arthritis, knee, or back pain. Many people prefer swimming for exercise, because it offers a low-impact way to burn a maximum number of calories. Swim spas and small swimming pools near Birmingham, AL are perfect places to perform the exercises seen in the short video. Continue reading for a short breakdown of these simple exercises that can be done in a small swimming pool. To work on the triceps, perform reps of modified push-ups from the wall of a small swimming pool. To work on the core, head to a deeper end of the pool. Do several reps of a jump and knee tuck exercise. Only use the arms and hands for balance. To work on the legs, arms, and core, try a knee-high run in the water. Make sure the arms are in motion with the legs to burn the maximum number of calories.